It's official! Holiday time is here and I just love it to pieces! I am totally in love with this amazing set from the Autumn:Winter 2017 catalogue too. This week I will be sharing a couple of creations with this fun set. 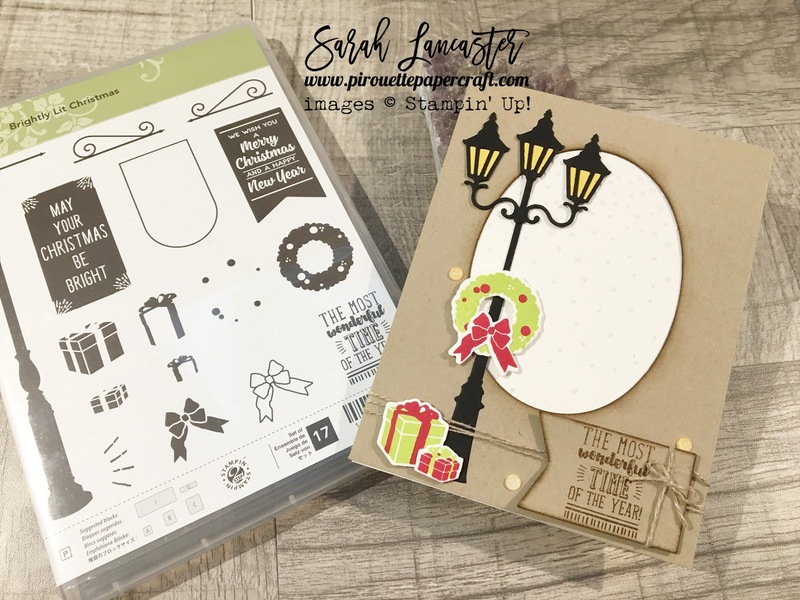 Now let's talk about craft card stock! Definitely a colour for Christmas and it goes so well with the Lemon Lime Twist and Real Red. It really makes those colours pop out from the card. 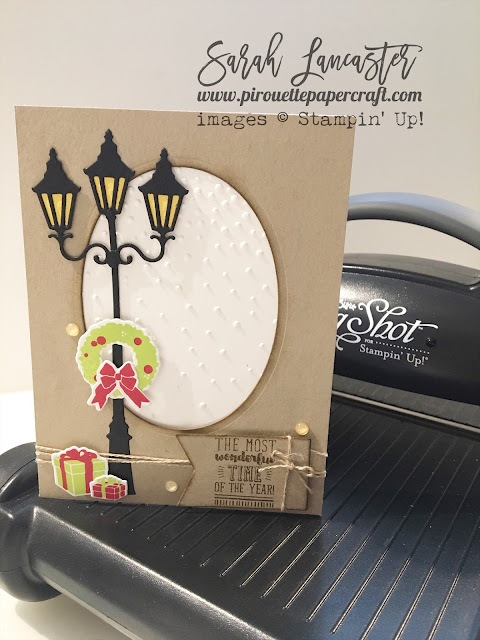 And that lamp post is superb, you will of course need your Big Shot to create this card and your Softly Falling embossing folder to create the snow falling in the background. 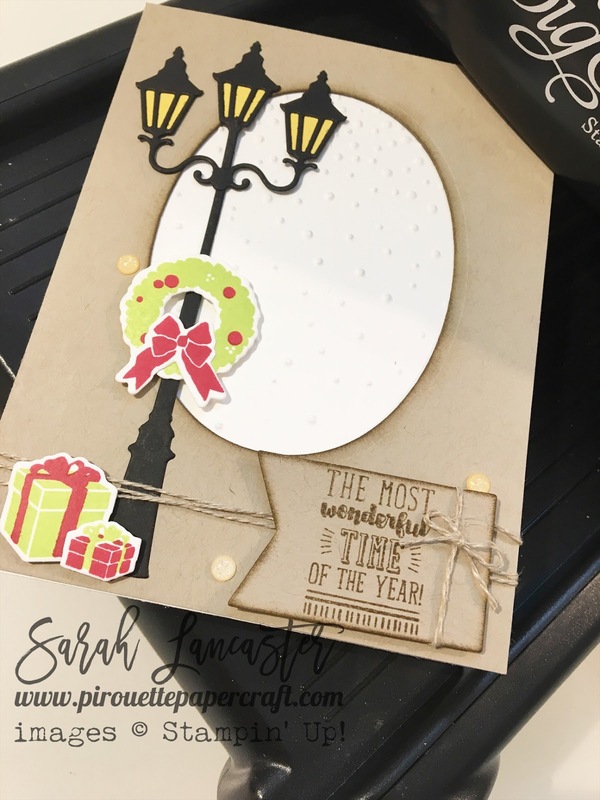 Don't forget to use your sponge daubers to add a little colour around the die cuts to give a clean and simple card a little dimension. Remember you can save 10% if you buy the stamp set together with the dies and to tempt you further don't forget to add my host code into the box at checkout for extra goodies direct from me at the end of the month. 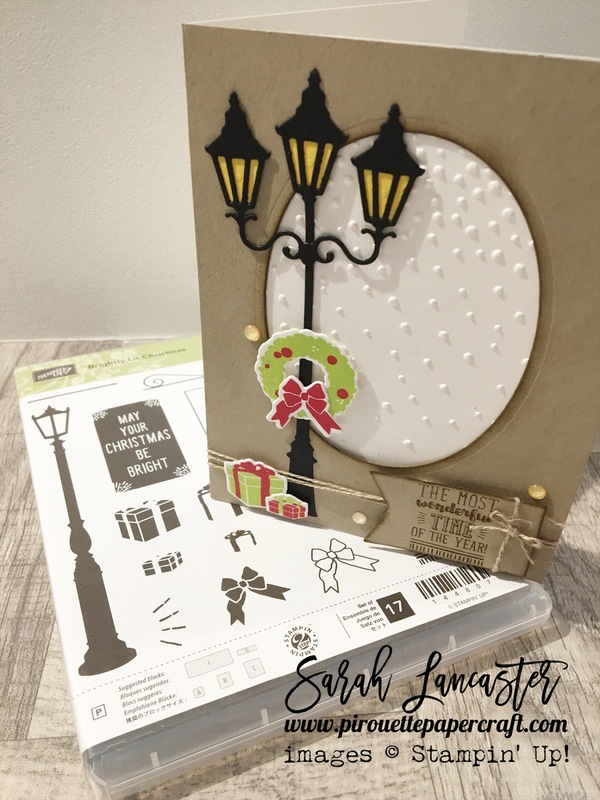 Every customer gets a handmade thank you card and by using my host code you also get to share the host gifts each month.